Did you know that an estimated 423,000 Utahns don’t know where they will be getting their next meal? This number is equal to about 14% of the state’s population. There is an increased demand for donations during the summer months when children are out of school and don’t have access to school lunch programs or breakfasts. During this same time period, donations are often at their lowest because of busy summer schedules. With 1 in 5 children at risk of missing a meal every day, this is an issue that needs our attention. To help ease this ever growing burden, Cyprus Credit Union has teamed up with the Utah Food Bank and Fox 13 for Feeding Utah 2016 to assist those who are in need. Our annual summer food drive will begin today, July 11th, and will end on September 24th. You can help in one of two ways. First, you can make a food donation. Every Cyprus Credit Union location will have a barrel where you can drop off nonperishable food donations when you visit the branch. If you want to find out what you can and cannot donate, you can find a cheat sheet HERE. For a list of the Food Bank’s most needed items click HERE. Second, you can make a cash donation at the teller desk and fill out a donor recognition card to be displayed in the branch. Every dollar donated can be turned into $7.35 worth of goods and services for those facing hunger, making this a great option to help as many people as possible in this time of need. 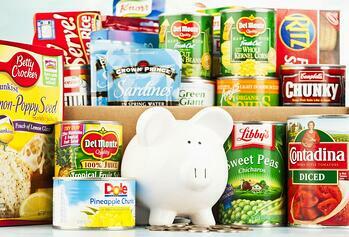 To make an online donation, you can visit our Food Bank website. For more information check out Feeding Utah.